Miss Judy will visit Mrs. Trettel's classroom to share stories, do fun activities, sing and make a craft with the children. This class is for children Birth to 3 years of age and a participating adult. We read stories, sing, play games, and move, move, move! Class size is limited. Pre-registration is required. This session will run from January 8 thru April 30, 2019. Registration for this session will begin on Monday, December 10,2018 by clicking on the registration below. The library challenges you to read 50 books in a year. Come and share your latest reads, swap book recommendations, and socialize with fellow readers. New members welcome. This club usually meets on the 4th Tuesday of the month at 6 pm. Call 724-226-3491 to confirm the date of the next meeting. Miss Judy will visit the Head Start classrrom to share stories, sing, do fun activities and a craft with the kids. Monthly art enrichment program for homeschoolers grades 3-5. Contact Susan Wilson for program details, to register or to be placed on waitlist. Monthly art enrichment program for homeschoolers grades 6-12. Cooking is fun and easy at the library in this hands on workshop. In this class we will discover orange scones and orange chicken recipes. Call the library for a full ingredients list.$3 materials fee. Registration required by April 22. Register at 724-226-3491. This class is for children Birth to 3 years of age and a participating adult. We read stories, sing, play games, and move, move, move! Class size is limited. Pre-registration is required. This session will run from January 10 thru May 2, 2019. This class is for children 3 years to those starting Kindergarten in the fall, Join Miss Judy as we read 2 stories, recite the alphabet, count, do fun activities, and make a craft. We follow the Pennsylvania Learning Standards for young children. Class size is limited. Pre- registration is required. This session will begin on January10 and run through May 2, 2019. Registration will begin on Monday December 10, 2018 by clicking on the registration button below. Miss Judy will visit the preschool classroom to share stories, songs, fun activities and a craft with the children. 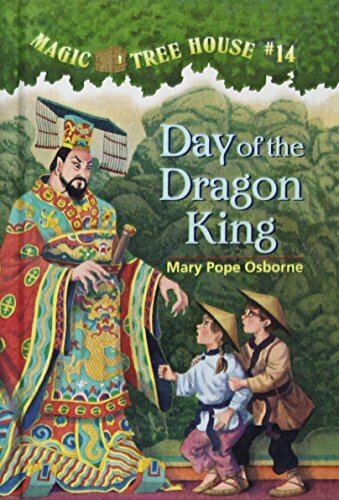 Written by Mary Pope Osborne, Magic Tree House is one of the best-selling chapter book series of all time! Come travel through time with Jack and Annie! Each month we explore a different Magic Tree House book with a variety of fun book related activities. 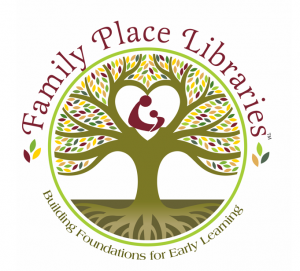 Funding for this program is provided by the Ira and Frances Wood Library Fund of The Pittsburgh Foundation. This class is for children Birth to 3 years of age and a participating adult. We read stories, sing, play games, and move, move, move! Class size is limited. Pre-registration is required. This session will run from January 11 thru May 3, 2019. Miss Judy will visit the preschool classroom to share stories, sing, do fun activities and a craft with the children. Miss Judy will visit to share stories, sing, do fun activities and a coloring page. This class is for children 3 years to those starting Kindergarten in the fall. We read two stories, recite the alphabet, count, sing songs, do fun activities, make a craft and much much more!! We follow the Pennsylvania Learning Standards for young children. Class size is limited. Pre-registration is required. This session will run from January 7 to April 29, 2019. Registration will begin on Monday, December 10, 2018 at 11:30am by clicking on the registration button below. We will read the story and have various activities to go along with the book. Come join in the fun and let your imagination take over! Support the library and have some fun by attending the monthly Friends of the Library card party fundraiser. Bring your friends to play various games. This event takes place on the first Thursday of every month at noon. Admission is $5 per person. Coffee will be available. Participants will have the opportunity to win door prizes. Call Delphine at 724-226-2799 for more information. Our Friends Group is fired up to meet you! They would love to answer your questions. Who can't use another friend? Highlands Elementary School GATE students and the Community Library of Allegheny Valley are participating in this awesome event! The winning book will be announced at this May event held at Soldiers and Sailors Memorial Hall and Museum in Oakland. The Allegheny Intermediate Unit and the Allegheny County Library Association partner to present the Children’s Choice Awards. Similar to a Mock Newbery program, school and public librarians will work together to help students (in grades 3-6) choose the best book of the year. Students will have until April to read 3 of 8 nominated books and then vote for their favorite. The Harrison Branch of the Community Library of Allegheny Valley will be closing early this Friday at 2 p.m. for a Staff event. We appreciate your consideration. New participants welcome! Please contact Mrs. Wilson at 724-226-3491. Miss Judy will visit the Head Start classroom to share stories, songs, finger plays, fun activities a craft and more! Miss Judy will visit the Head Start classroom to share stories, sing songs, do finger plays, fun activities, a craft and more. Miss Judy will visit the center once a month to share stories, sing songs, do fun activities and a craft with the families. The Community Library of Allegheny Valley Harrison Branch is a polling location for the primary election. You will vote in the Community Room. The library will be closed today for Memorial Day. Please have a safe and pleasant holiday! Community Library of Allegheny Valley will be hosting an Appraisal Fair featuring IFAA certified appraiser Kurt Shaw on Saturday, October 5 from 10 AM to 1 PM. If you have a piece of art or an old family heirloom you’d like to have appraised, bring it in! Mr. Shaw will be offering verbal appraisals for $10 per item, or $15 for two items. All proceeds from the event will support the Community Library of Allegheny Valley. // Since you know what data you've asked for you can hard code the array.
" + evtArray[i][evt_date] + "
" + evtArray[i][evt_time] + "
" + namelink + "
" + evtArray[i][evt_key1] + "
" + evtArray[i][evt_key2] + "
" + evtArray[i][evt_urltext] + "
Copyright by Community Library of Allegheny Valley. All rights reserved.